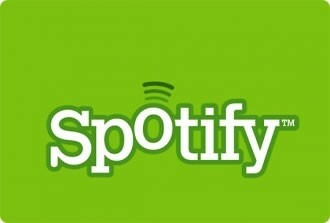 A source close to Spotify claims it is the second largest revenue generator for major music labels. The service was used by 23 million people last month and is bested only by Apple’s iTunes, according to a story published by Business Insider. The publication estimates that iTunes paid around $3.2 billion to record labels last year, a figure that is surely much higher than what Spotify’s member base is coughing up. But second place is nothing to be ashamed of after launching in the US less than a year ago. Early Spotify investor Sean Parker noted at SXSW earlier this year that if the business continues to grow at the current rate, they should overtake iTunes with regards to contributions to artists in less than two years. The streaming music service is in the process of raising $220 million based on a $4 billion valuation, including $100 million from Goldman Sachs. This is in addition to the $100 million that was generated last year but not everyone is fully convinced about the future of the service. Some investors were skeptical a few months ago given the fact that Spotify doesn’t actually own the content they sell. As such, record labels will be watching the company very closely and it’s a given that they will tax any profits to a great extent. On the flip side, some see Spotify as a great alternative to iTunes, the latter of which is viewed as too powerful by many labels. With any luck, these labels will be able to depend on Spotify as a steady source of income which could give them leverage at the negotiating table in the long-term.